Buffalo Grove Boone Con Iowa [21st?] 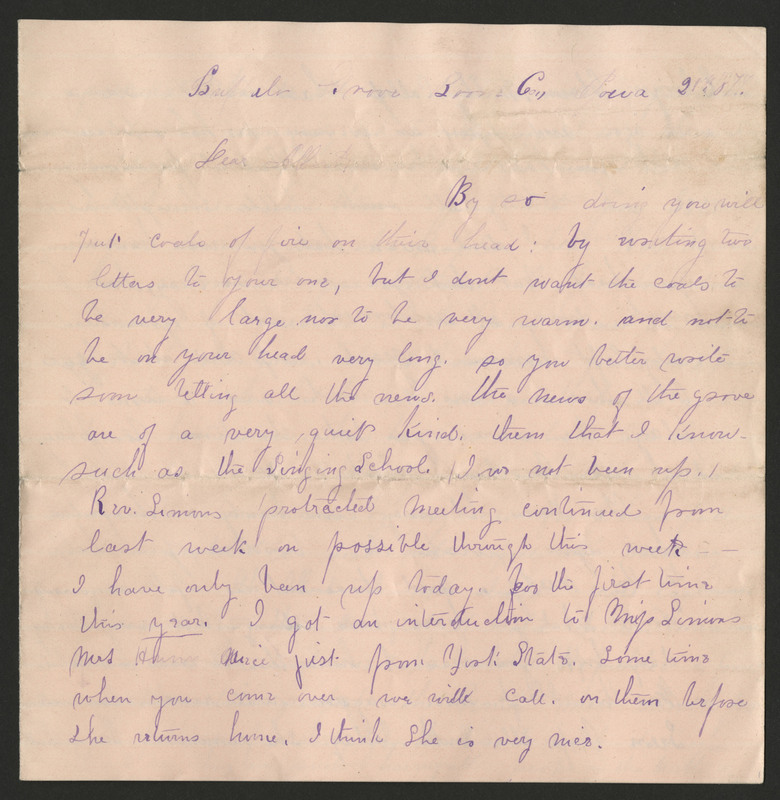 1877 Dear Albert By so doing you will put coals of fire on their head: by writing two letter to your one, but I dont want the coals to be very large nor to be very warm. and not to be on your head very long. so you better write soon telling all the news. the news of the grove are of a very quiet kind. them that I know such as the Singing School. I [illegible] not been up Rev. Simons protracted meeting continued from last week on possible through this week I have only been up today. for the first time this year. I got an interduction to [Miss?] Simons Mrs Hunn niece just from [York?] State. Some time when you come over we will call, on them before she returns home. I think she is very [nice? ].